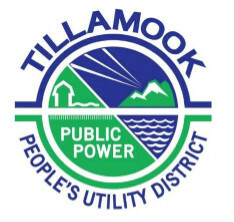 Tillamook PUD’s Board of Directors will convene a Board Workshop on Tuesday, December 5, 2017 at 12:00 p.m. for the 2018 Budget Presentation. The meeting will take place in the Carl Rawe meeting room at Tillamook People’s Utility District, 1115 Pacific Avenue, Tillamook, Oregon. Those who require special accommodations should contact Tillamook PUD at 800-422-2535 or 503-842-2535.